Welcome to Stitches in Faith where you can find Handmade Quilts, Aprons, Nurse Gifts, Vintage dolls & more. Here at “Stitches In Faith”, you will find many impressive, unique, one of a kind gifts that are a little better, and a little different. Each item is Designed, and Handmade by me, one at a time. Are you looking for raggedy dolls, primitive dolls, quality handmade rag quilts, raggedy quilts, ragged quilts, vintage quilts, or vintage aprons? How about prim or cottage home decor? You have come to the right place. You will love my handmade quilts, which will be a treasured heirloom. Some are created from vintage linens bought at antique shops. Many are made of vintage looking fabrics just like “grandma” would have made! 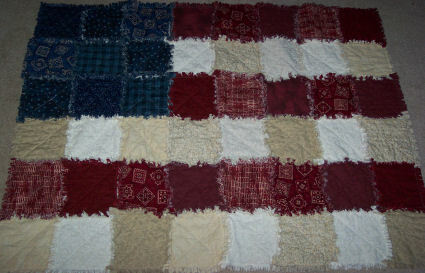 I have rag quilts, teacher quilts, nurse quilts, and many more. Speaking of Grandma, I have a large selection of vintage aprons that I designed and made from feedsack repro fabric and vintage looking fabric for grandmas, moms, and children. All of my gifts can compliment many decors, such as vintage, country, primitive, shabby chic, Victorian, and traditional. Making dolls is one of my favorite things to do. You won’t find handmade vintage dolls like these anywhere. Each one was made from tea dyed cloth, and have hand stitched or painted faces. Truly a collectible for any doll lovers or raggedy collector. I have primitive dolls, raggedy dolls, and American History dolls, all sizes and colors…just like people. My history dolls are from original patterns from the early 1940’s. I have one of a kind Nurse gifts for that special nurse in your life. All of my nurse dolls and quilts were made by an inspiration of a dear friend who is a nurse. You can even find a gift that is suitable for valentines day. Just browse my website. If you can not find something interesting for this occasion you can check at valentinesgiftideas.org – they have some lovely ideas for Valentines presents. 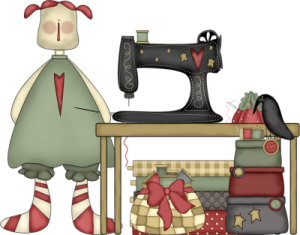 Here at Stitches in Faith you will not only find quality handmade items for sale but also an explanation of HOW items were made, as well as the American history of the making of aprons, dolls, quilts, and more. Sure hope you enjoy your visit and come back often. So, relax, shop, look around, and remember… items are added weekly, so stop back often. International orders are welcome, but shipping is extra, so email me for details. You can pay via Paypal, Money Order, Personal Checks, or VISA/MC.